The retail market is changing. Shopping is becoming more experiential and Grand 3D is here to help. 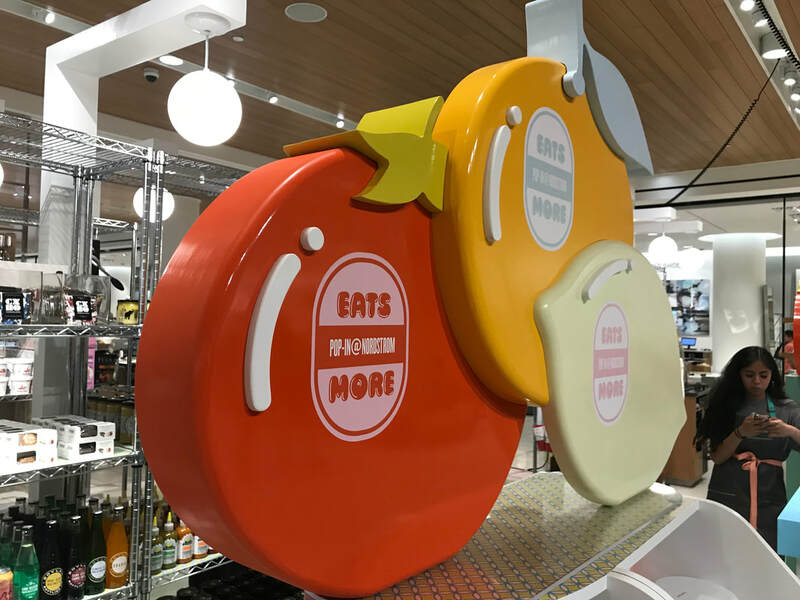 3D Digital Sculpture lets you capture the customer's attention right out of the gate. We recently did this display for Nordstrom's Pop-In @ Nordstrom Eats More campaign. 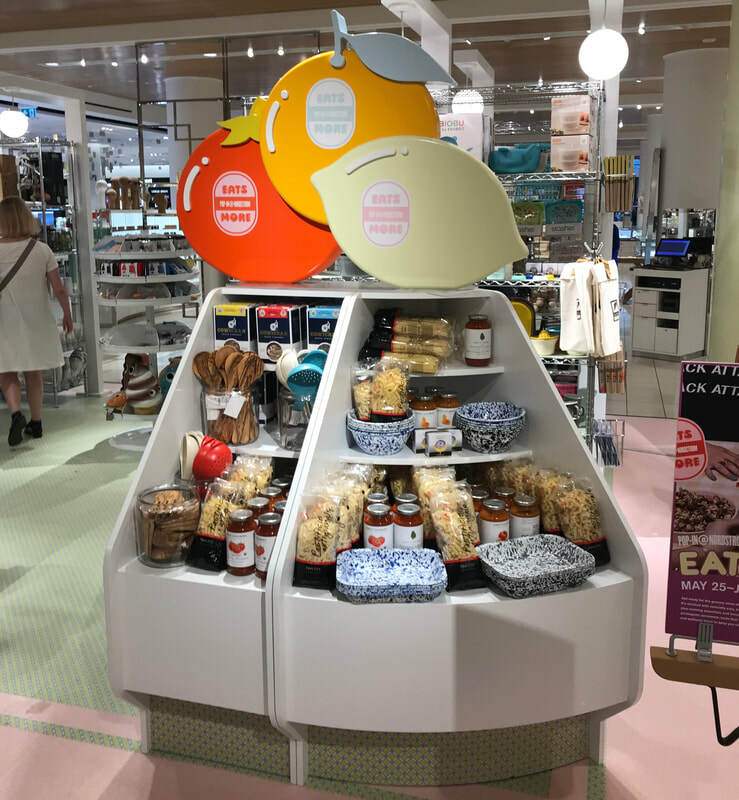 Would you expect to see designer kitchen utensils and food at Nordstrom? Probably not! That's why it was vital to use an attention grabbing 3D sculpture. We have a full breakdown available if you sign up for our Project BLAST mailing list! Our displays can be made for one time use or given heavy duty coatings to ensure they'll survive any foot traffic you can throw at them. Whether it is a temporary set up or a permanent installation Grand 3D has a custom solution that will work for your customer or business. So don't delay! Contact us for a quote or to set up a 3D Discovery Call and learn how Grand 3D can transform your retail space!